Kids in KFL&A have been counting on us for help during the Holiday Season for more than 100 years...Can we count on you? Thank you for making our 2018 annual holiday appeal one of the most successful ever. We’re your Children’s Aid Society and we protect children from abuse and neglect. For more than 100 years we’ve been putting toys, food, clothing and more under the tree for the kids we serve. We helped 850 kids this holiday season thanks to people like you. The money we raised will go to help these very same kids year-round, including Summer Camp in July and August. We appreciate all your support. We spent $8,000 helping kids in the first three months of 2019. You can make an online donation and receive an instant charitable tax receipt. Note: No Debit or Credit at this location. Thanks to our 2018 Campaign Sponsor – Rapport Credit Union. Please join us in thanking them for their support. 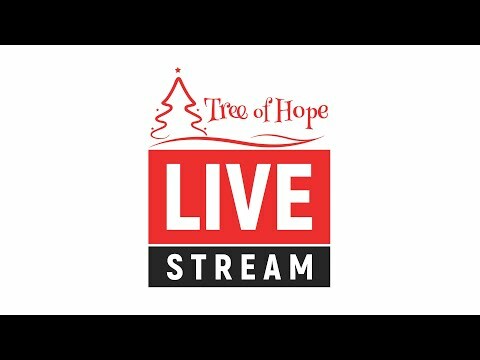 The Tree of Hope is gearing up for 2019. If you want to contact us about the 2018 campaign or the upcoming campaign which starts in November 2019 then use the form below. We take the privacy of the children and families we serve very seriously. We cannot identify any of the children or families that benefit from the Tree of Hope. This also makes it difficult for us to honour requests for feedback from kids who received your donations of toys. Thank you for understanding. The money we raise from the Tree of Hope will go towards buying toys, cribs, and other items our families need over the holiday season and to manage the campaign. Any money left over will be sent to our Summer Camp program, which sends some of the same kids helped by the Tree of Hope to summer camps across our two counties. We will issue tax receipts for donations of over $20.00. You can expect these receipts to arrive in February. For gifts given online, charitable tax receipts will be issued by email.